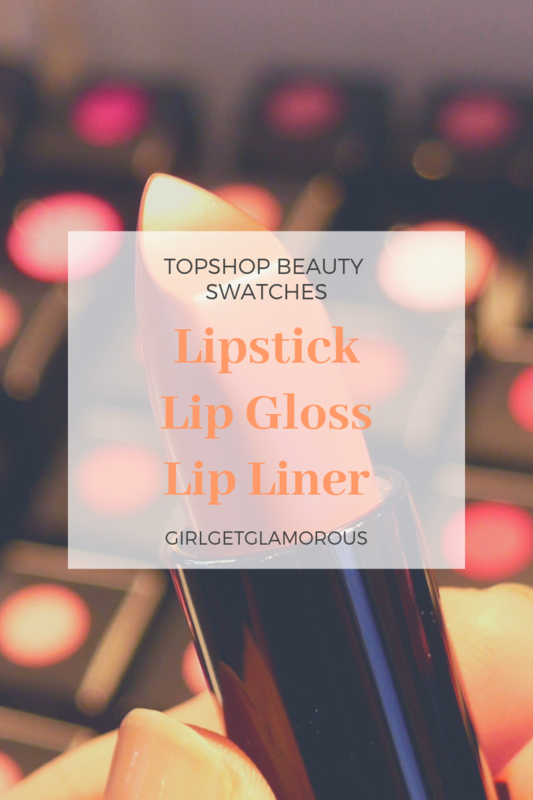 This is Part 2 of the Topshop beauty relaunch swatch posts! Topshop just relaunched their beauty line and it’s absolutely stunning. I wanted to do some swatches because I couldn’t find any online. I’m lucky enough to live in Los Angeles, where we have our very own Topshop store, so I stopped by and started swatching. The best part of the line is that the products DELIVER. The quality is so good that it rivals or beats high-end brands. Most of the line is produced in Italy (known for producing high-end makeup formulas) and the pencils are produced in Germany (known for producing the best pencils). Before we get to the photos, full disclosure, the lighting in Topshop was not great. I will add more as my order comes in and can take photos of my shades in better lighting. But I wanted to get the full range so that everyone can find their shade. Cream Lipstick, $14, available in 25 shades. Texture | creamy with a demi-satin finish. Some shades were more opaque and some were a bit more sheer. Smooth application. Packaging | sleek black metal, with Topshop embossed on the side of the tube. Matte Lipstick, $14, available in 21 shades. Texture | matte and more dry than the cream formula, but did not pull or skip on my skin. Smooth application. light feel. Packaging | sleek black metal tube with Topshop embossed on the side. Longwear Liquid Lipstick, $14, available in 25 shades. Texture | smooth liquid formula. Full color with one swipe. Packaging | square plastic tube, black plastic lid with wand applicator. Blush Lipstick, $14, available in 6 shades. Texture | sheer lipstick, very smooth. Gives lips a hint of color. Packaging | sleek metal tube with cap. Chameleon Lip Gloss, $16, available in 4 shades. Texture | smooth liquid formula. Sheer with micro glitter. Feels smooth, not grainy. Not sticky. Longwear Lip Pencil, $12, available in 10 shades. Texture | smooth gel, glides on easily, dries to matte. Packaging | pencil, must be sharpened. Ultra-Matte Lip Crayon, $14, available in 8 shades. Texture | smooth gel formula, glides on easily, dries to matte. I hope this post was helpful!! I will do a try-on post soon, when my order comes in and then link that post here. For now, I wanted to get swatches up, because a lot of the lipsticks look so different when they are swatched vs in the tube! Topshop does not allow returns on opened or used cosmetics, so you definitely want to get the right shade. Leave me a comment below what you favorite shades are! I want to hear what you think.